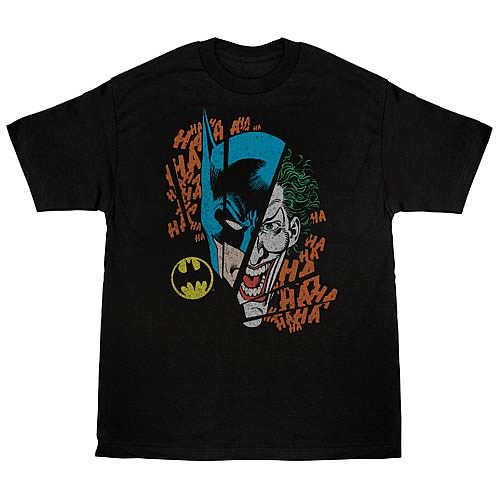 DC Originals Batman Broken Visage T-Shirt. For those days when you can't decide whether to use your powers for good or evil, throw on this 100% cotton, high-quality, pre-shrunk black t-shirt. Order yours today! Shirt says: "Ha, ha, ha, ha, ha..."